SANTA FE, NEW MEXICO-For the fifteenth straight year the sophisticated travelers who subscribe to CONDE NAST TRAVELER magazine have voted Santa Fe one of their favorite travel destinations in the U.S.. Santa Fe was selected as the Second most popular travel city in the country after San Francisco and ahead of a host of desirable travel towns in the magazine's 19th Annual Readers' Choice Awards. Photos of Santa Fe The awards were presented on Monday evening (10/16) in New York during a star-filled party at the American Museum of Natural History. Winners were announced in a variety of categories after nearly 28,000 readers of the publication voted for their favorite travel cities, islands, airlines, hotels, and other travel-service providers from around the world. But the big award of the night went to the reader's top 3 favorite American travel destinations: San Francisco, SANTA FE, and New York. Video clips of each of the top 3 cities were shown at times during the event with the announcement of the order of the top 3 coming as the highlight of the evening. The proceedings were video taped for broadcast later on the Travel Channel. Both Santa Fe Mayor David Coss and interim Executive Director of the Santa Fe Convention & Visitors Bureau Tom Maguire attended the ceremony at the invitation of CONDE NAST. "Delivering on the promise of Santa Fe's appeal is up to everyone a tourist encounters during their stay," Mayor Coss said. "There is no way the city could continually appear at the top of this list without Santa Fe's retailers, lodgers, restaurants, artists, musicians, attractions, service businesses, and citizens all providing a quality experience,"
Tom Maguire said,"It is so gratifying for Santa Fe to repeatedly be ranked with such outstanding cities as New York, San Francisco, and the rest of these well-known travel destinations. 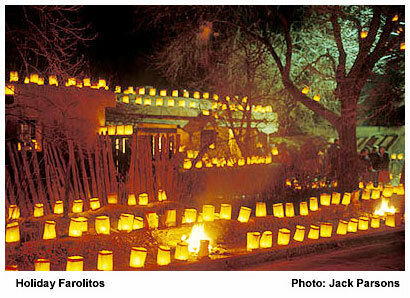 It is a testament to Santa Fe's enduring allure and a reminder of just how remarkable a place it is." Santa Fe has been rated as one of the top U.S. travel destinations by the poll for the last 15 straight years: In 1992 Santa Fe was just a write-in candidate but received enough votes from the magazine's readers to be chosen the number one travel destination in the world. In 1993 Santa Fe was voted second in domestic travel spots as it was in 1994 and 1995. 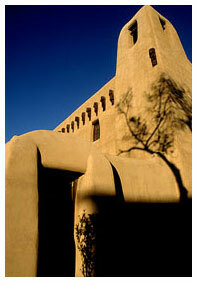 For 1996 Santa Fe was rated fourth and in 1997 and 1998 it was ranked the third most popular U.S. destination. 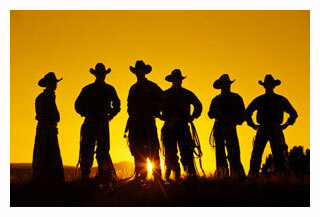 In 1999 and 2000 Santa Fe was ranked as the fourth most desirable destination city in the U.S., and in 2001 Santa Fe placed eighth in the poll. In 2002 and 2003 the city was placed in fifth spot and in 2004 and 2005 the city again placed second. The "Top Ten US Cities" as ranked in the 19th Annual Conde Nast Traveler Readers' Choice Awards: #1. San Francisco; #2. Santa Fe; #3. New York; #4. Chicago; #5. Charleston, S.C.; #6. Carmel, CA;; #7. Honolulu; #8. Aspen; #9 Seattle; #10 Sedona. The results of the poll will be featured in the magazine's November issue which goes on newsstands later in October and will also appear on the magazine's web site, http://www.cntraveller.com/. Every year since 1988, a select sample of Conde Nast Traveler readers have taken the Readers' Choice Survey. The final tabulations of responses were done by Mediamark Research, Inc. of New York City. Each candidate was rated, criterion by criterion, as excellent, very good, good, fair, or poor. Criterion scores, which represent the percentage of respondents rating a candidate excellent or very good, are averaged to determine the final score.